How thick is the Miracle Towel? What is the blend of the Deluxe Jr. Towel? What towel should I use to buff off wax? 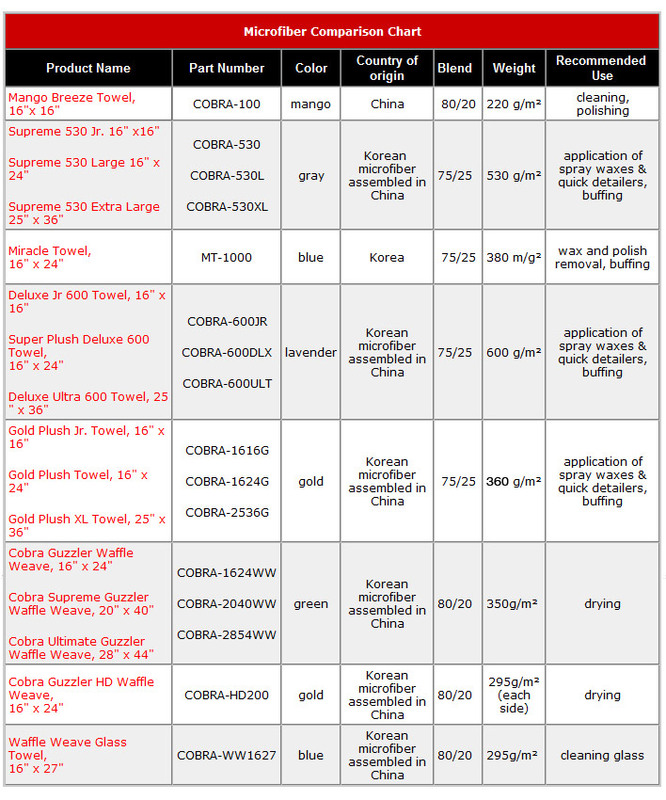 If you’re having trouble choosing between our large selection of microfiber towels, take a moment to review our Microfiber Comparison Chart. The information here was provided by our manufacturing division to dispel the mystery of microfiber. Learn about the relationship between microfiber weight, thickness, blend, and purpose. Then select the microfiber towels that suit your purpose and your vehicle's needs. The thickness of a microfiber towel is directly related to its weight. Higher weight = higher density = a thicker towel. Microfiber weight is expressed in “grams per square meter” or g/m². For example, the Miracle Towel is 330g/m². Each square meter of this particular microfiber weighs 330 grams. From this chart, you can see that the Miracle Towel is one of our thickest towels. Now you know how thickness and weight are measured, but what does that number have to do with quality? Nothing. All Pinnacle s microfiber is what the industry refers to as “ultra microfiber”. This term refers to the size and weight of each individual fiber and it’s the highest quality microfiber made. We use only ultra microfiber in our towels. The gram weight is a measurement of the amount of fiber in the towel. A lighter towel has fewer fibers in it, resulting in a thinner towel. The Mango Breeze Towel is lighter, and therefore thinner, than the Miracle Towel. Though weight does not affect the quality of the microfiber, it does make some towels better suited for certain jobs than others. The Miracle Towel and the Super Plush Deluxe are outstanding buffing towels because they are very thick and pillow-soft. The Mango Breeze Towel are thinner and, therefore, effective cleaning and polishing towels. The All Purpose Towel falls in the middle which makes it equally suited for buffing, polishing, and cleaning. 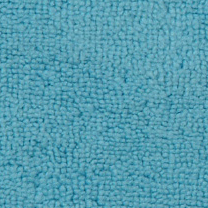 The blend of microfiber refers to the ratio of polyester to polyamide. Both are manmade fibers. Polyester is noted as the stronger fiber and, because of its incredible durability, there is always a higher percentage of polyester found in microfiber. Towels made with an 80/20 blend are most often multi-purpose towels because they hold up well to a wide variety of tasks. Polyamide is a derivative of nylon. Polyamide gives the microfiber a softer, silkier texture. Towels made of 70/30 microfiber are often designated as buffing towels because of their fluffy softness. Edgeless Microfiber Quick Detail Towel, 3 Pack NEW LOOK!